Toledo, Ohio, June 22, 2018 – The Lucas County Land Bank, a county agency, voted to accept the donation of St. Anthony Church from the Diocese of Toledo contingent on an engineering inspection and a call for written pledges to help in redeveloping the building. At this time the Secular Humanists of Western Lake Erie (SHoWLE) has decided NOT to make a pledge. “Although the church and state issues we were concerned about seem to be abated. We are still troubled with the city and county taking on this project without any concrete plans,” said SHoWLE President Doug Berger. Berger added that SHoWLE will be monitoring the issue and should it look like outsiders are minimizing or ignoring neighborhood input then it is prepared to support the neighborhood. “Whatever is done with the building has to benefit the whole neighborhood and not just the outsiders who ‘saved’ it,” Berger said. We Are Now Offically A Chapter Of The American Humanist Association!! 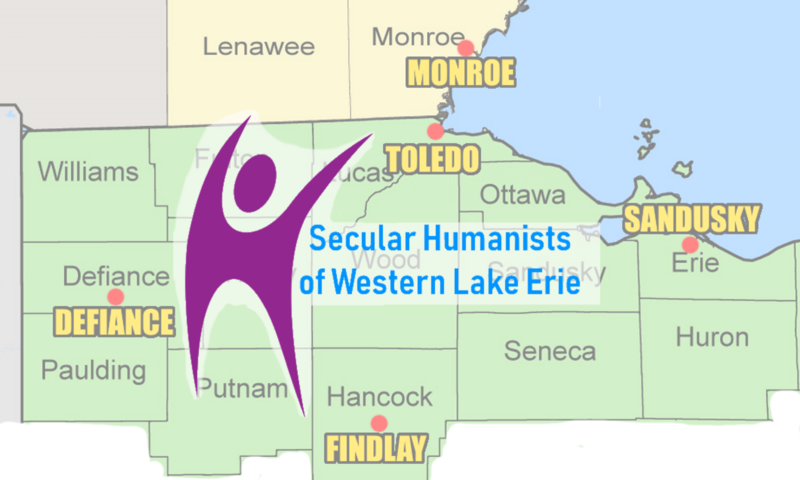 (Toledo, Ohio, June 7, 2018) – The Secular Humanists of Western Lake Erie (SHoWLE) had their chapter application approved by the American Humanist Association. The Secular Humanists of Western Lake Erie (SHoWLE) urge Toledo city officials and US Rep. Marcy Kaptur not to insert themselves in the effort to save St. Anthony Catholic Church on Nebraska Avenue. “Seeing Rep. Kaptur and current and past Toledo elected officials standing at a podium with the city of Toledo seal, demanding the Diocese of Toledo not tear down St. Anthony is troubling,” Doug Berger, President of SHoWLE said. The separation of church and state not only protects the government from religious intrusion but also protects religion from some intrusion by the government. The Diocese of Toledo, in a statement, wondered where the calls to save the building were for the past 13 years after it closed and as the building continued to deteriorate. “The government officials demanding the building not be torn down will stick the Diocese with the repair bills should they prevail. The only way for tax dollars to be spent on a renovation and/or reuse would require the property be sold to a non-religious entity at a fair market price,” Berger said. The misleading statement by a community member that demolition would be a health and safety issue is also a problem. The building is historical and significant to many people in the community but there hasn’t been any specific plans from the people wanting to keep it. SHoWLE believes that Rep. Kaptur and the city of Toledo shouldn’t pick sides in the issue and they should stay neutral as called for in the 1st amendment.